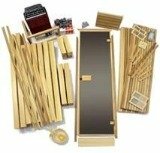 If you are searching for an introduction to the sauna, you will need to be acquainted with the general history of this remarkable creation. First off, the sauna is not a steam room (which is a humid and wet environment) and can be described as wet or dry. The “wet” in this case refers to invisible steam. Yes, steam can be invisible - and that’s the secret of the sauna. Just as a bit of history, the word sauna is Saami, from the language of the original inhabitants of Finland. The hot rock sauna was first introduced in Finland centuries ago and was used for rites of passage as well as healing and cleansing the body. The elderly were brought to the sauna to relieve their suffering before death, and birthing mothers came for their babies to be born there. They believed the löyly, or steam that represented the “spirit” or “life”, would keep evil spirits at bay, sort of a baptism by steam. Sick people were also brought in as the hot dry air is known to kill many viruses and bacteria. The introduction of various types of saunas came about in ancient cultures all over the world. They were known by many names including the Russian Banya and the North American Indian sweat lodge. During the Middle Ages saunas unfortunately evolved into centers of public bathhouses and prostitution. Once they were banned by the church it took a few more centuries before their medicinal and health benefits were rediscovered and the sauna was re-introduced in the West, although the Finns never abandoned them from their early form. In Finland, the sauna is used almost daily by healthy people and Finns consider it a national passion. In fact, most homes in the country have private saunas. If you should visit Finland, part of your introduction to the sauna will be sure to learn to pronounce the word correctly as the Finns do. It’s not saw-na but sow-na as in “cow’. If you have problems with this, the Finns will be more than happy to correct you until you get it right. It wasn’t until 1965 that modern technology saw an introduction to the sauna. 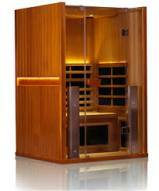 The infrared sauna was invented in Japan using far infrared (FIR) wavelengths to penetrate heat deep into the body. 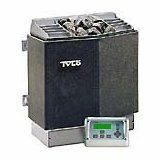 This new technology does not use the hot rocks heater and does not produce steam. Despite its techno name it is not a pseudo-science and infrared saunas are completely safe; hospitals use them to keep premature babies warm in incubators. 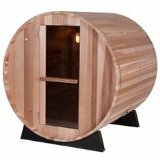 With the introduction of the FIR sauna, though not considered a “real” sauna by purists who contend that saunas must use invisible steam, the sauna is growing in popularity as its costs to operate, fast heating times, lower air temperature, and other benefits are attracting more and more homeowners. Your introduction to the sauna would not be complete without mentioning the medically proven health benefits of the sauna. Modern medical studies have shown that artificially inducing a fever (hyperthermia) in the body is beneficial as an effective detoxification program for eliminating fat-stored toxins from the body. Thus, just as ancient peoples knew centuries ago, the sauna is an ideal way to achieve hyperthermia and promote sweating, leaving you refreshed and building immunity against viruses and bacteria.